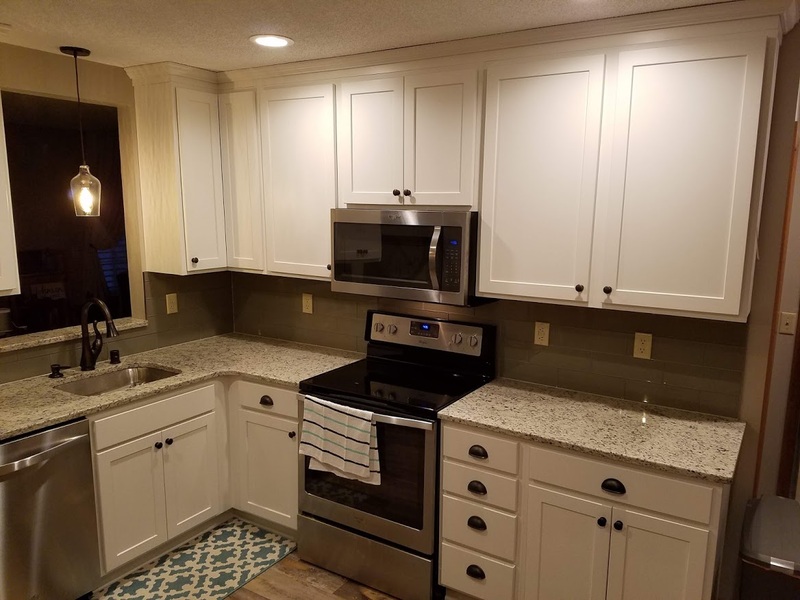 FULL TOWNHOME REMODEL – Allrounder Remodeling Inc. 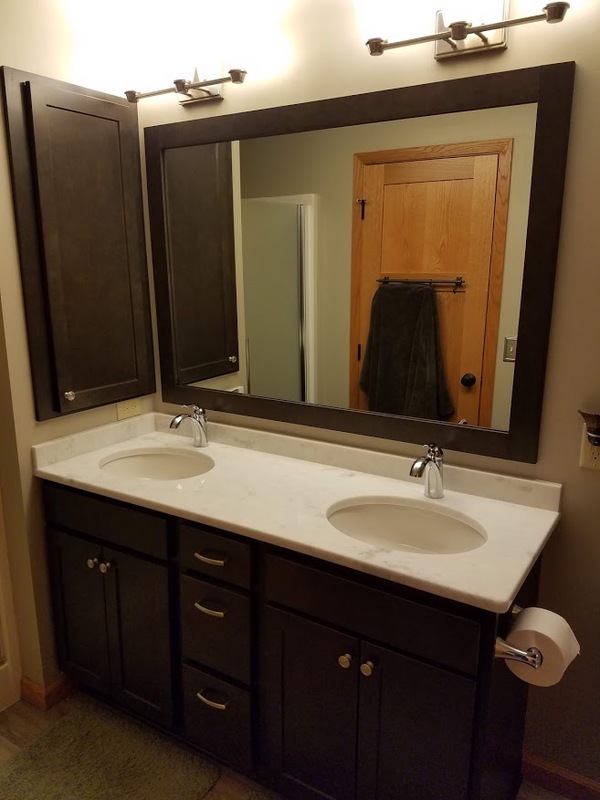 This project touched every room of this 2-level townhome in Inver Grove Heights. A full kitchen remodel highlights the changes. In addition, the bathrooms were remodeled along with other custom touches. Our kitchen designer did a great job with very limited space in this tiny kitchen. Full-height upper cabinets provide extra storage and eliminate dust collection space above the upper cabinets. 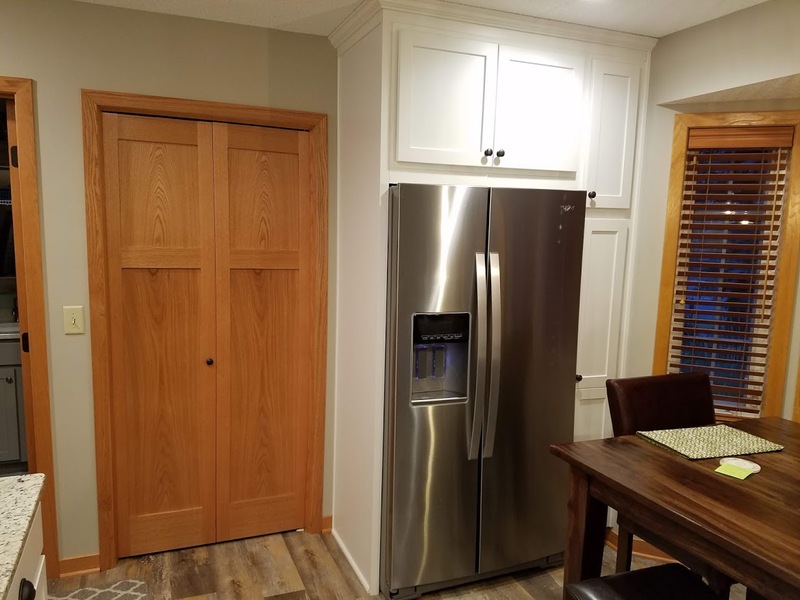 The refrigerator was moved from next to the range to an adjacent corner, which eliminated an unused desk and added much-needed countertop space. The awful florescent lighting was replaced with dimmable LED recessed lights. 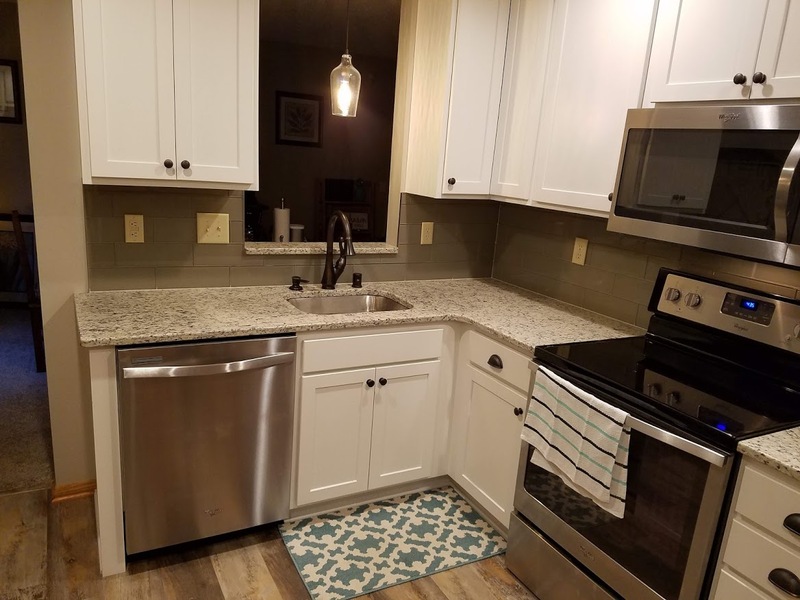 White cabinets, granite countertops, and a glass tile backsplash work perfectly with stainless appliances. Kitchen Design by Chris Albrecht. 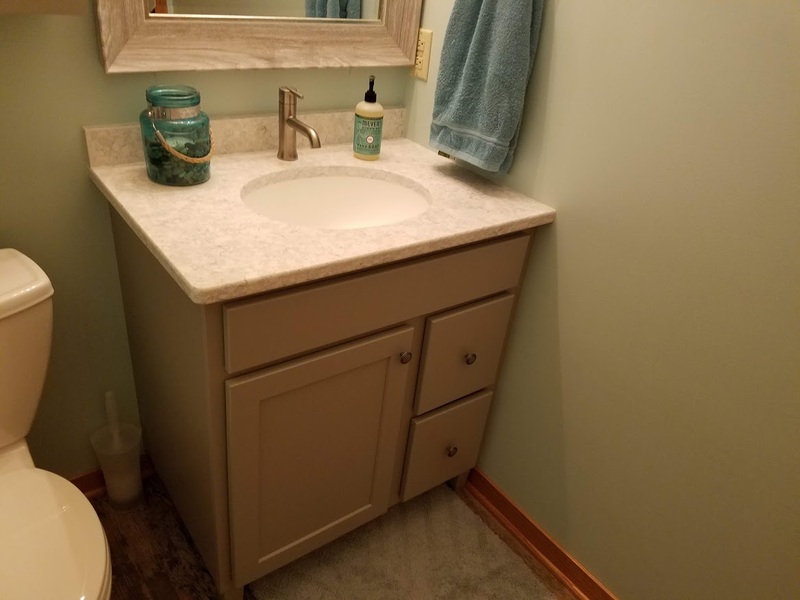 A full remodel of the master bath wasn’t in the budget, but we were able to make some nice changes. 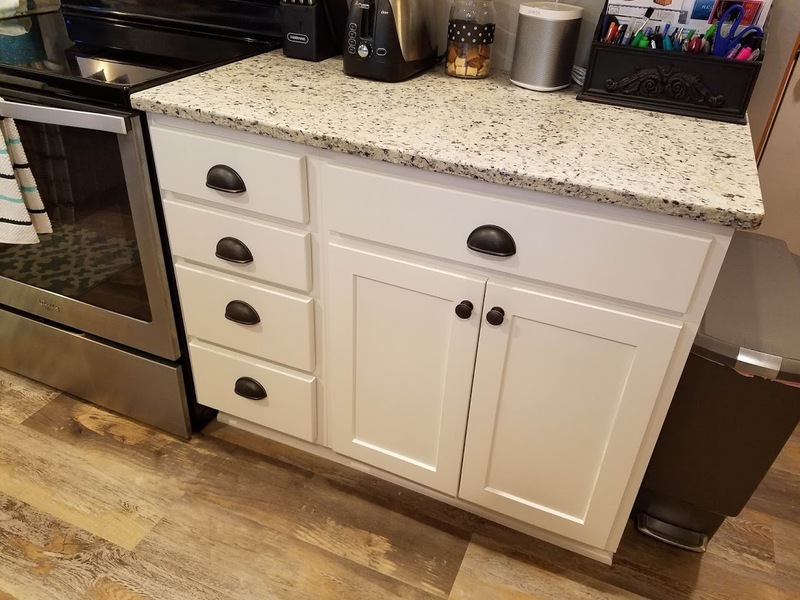 The builder grade cabinets were replaced with beautiful maple cabinets with a marble countertop. 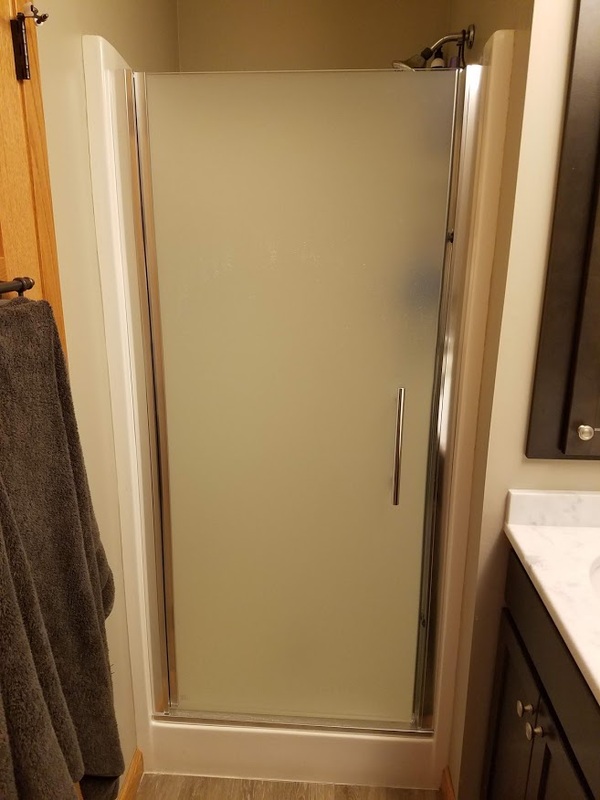 A custom matching mirror was built, and a new shower door makes the original shower feel bigger than it really is. Our client has declared the powder room to be her favorite room in the house. The beachy feel is accomplished by a gray furniture style cabinet, sea green walls, and vinyl plank flooring that mimics the look of reclaimed wood. A quartz countertop with integrated sink is a breeze to clean. This room was clearly an afterthought by the original builder. 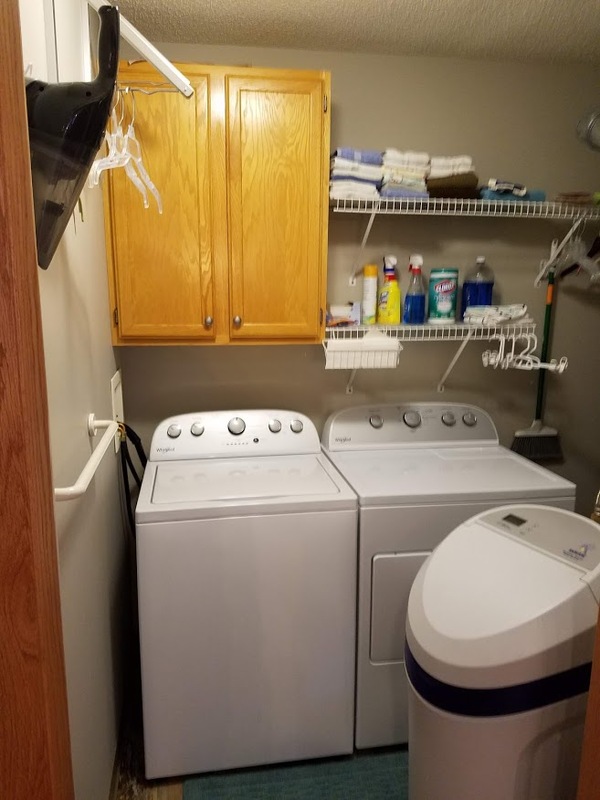 In addition to housing the furnace, water heater, and softener, this is also where the washer and dryer are located. All of this in a space the size of a small walk-in closet! To make the most of this little space, our team re-purposed an old kitchen cabinet and some wire shelving from another closet. New appliances, paint, and vinyl plank flooring make this room more functional and less dreary than before. 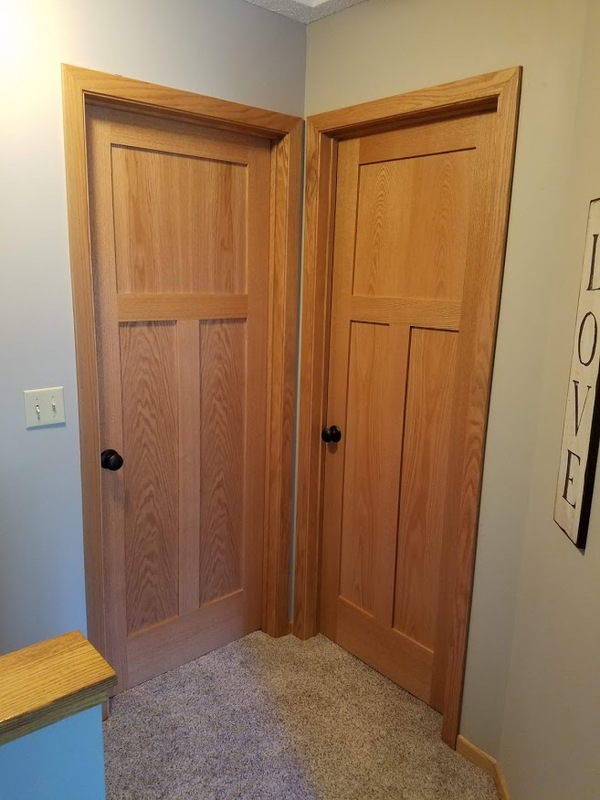 All of the interior doors were replaced with 3-panel solid oak doors. 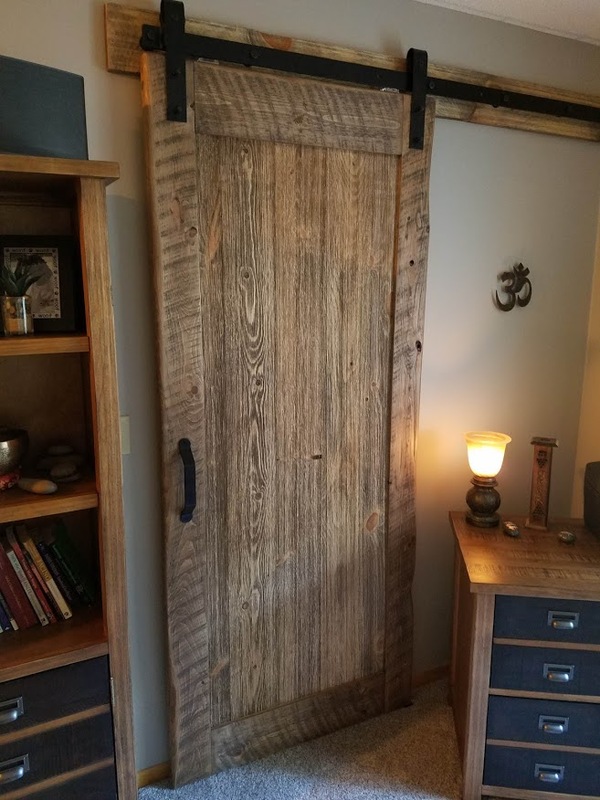 In addition, a closet in the loft area received a dramatic rolling barn door of reclaimed wood. The antiquated gas fireplace was replaced with a safe modern model. The kitchen, bathrooms, laundry, and entryway received luxury vinyl plank flooring. Other rooms received new carpet and the entire home was painted. The entry door and storm door were replaced with new, energy efficient models that meet the townhome association requirements. 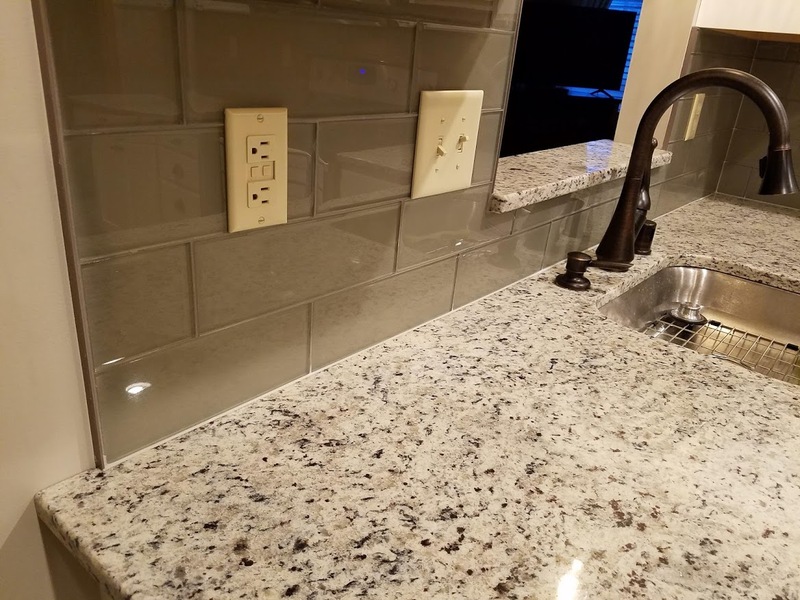 “Thank you so much for the beautiful job you did on our kitchen and baths remodel. We appreciated your timeline (finishing before deadline) and your cleanliness.